We met Jahleel, founder of Novel, during the Breaking Bread event held in Staunton earlier this year and were immediately taken by his story and his message of love. We learned that Jahleel had a clothing design business that he was running on a small scale and we immediately decided we wanted to provide Jahleel with whatever support we could offer. On scholarship, Jahleel participated in our 8-week Business Planning class and he rocked it! Jahleel went on to pitch his business at one of our Invest Local events and we were so happy to learn that a community member attending the event offered Jahleel a generous investment in his business…which of course is a direct investment in Jahleel! We are so proud of Jahleel and all that he has already accomplished in his life and we can’t wait to see what amazing things he does in the future! If you want to see more of Jahleel’s amazing story, you can visit his Youtube channel or Instagram account. We love you, Jahleel!! Keep spreading the message of love! Shop For Good with Our Friend of The Fund, Latitudes! 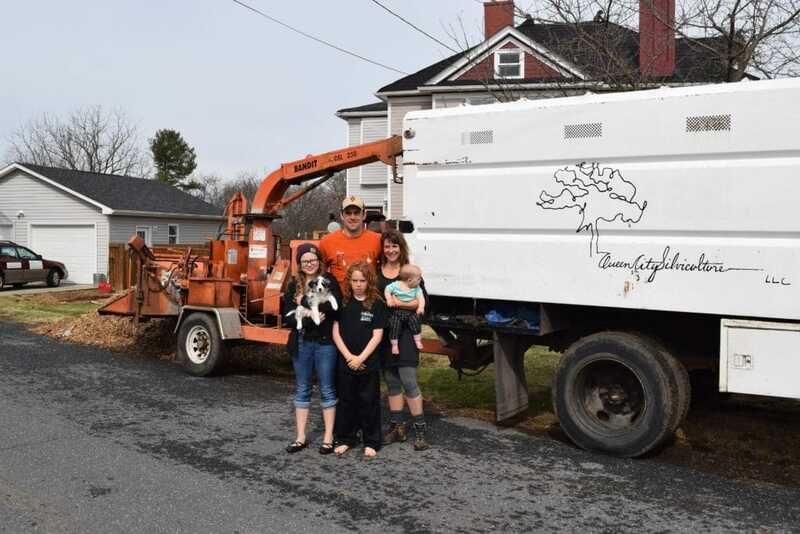 Catching up with Queen City Silviculture owner, Jason and Danielle LaRose. Previous post Looking to Invest? Go Local! Next post Startup Experience Youth Entrepreneurship Program Launching!